Chip giant Intel (NASDAQ: INTC) won the entirety of Apple's (NASDAQ: AAPL) iPhone modem chip orders for the 2018 iPhone lineup. That victory has driven a dramatic surge in Intel's cellular modem revenue. The company reported a 131% year-over-year increase in cellular modem revenue for the third quarter of 2018. Apparently, as my colleague Evan Niu recently described, Apple wanted to continue its practice of sourcing cellular modems from both Intel and longtime supplier Qualcomm (NASDAQ: QCOM). However, Qualcomm refused to deliver the goods, forcing Apple to rely entirely on Intel. 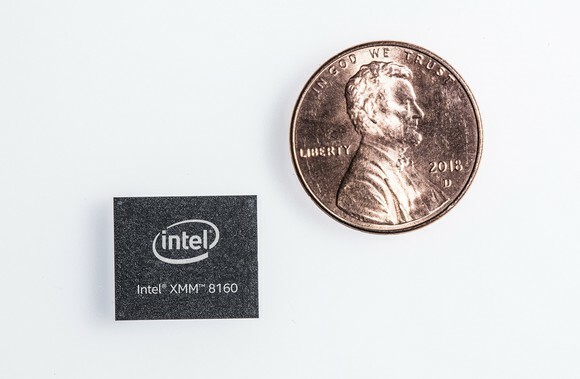 While it's a positive for Intel that it was able to step up and deliver the modems Apple needed, its position as Apple's sole-source supplier is probably precarious. Keep in mind that Apple wanted to use Qualcomm's modems as well as Intel's. Consider, too, Apple supply-chain executive Tony Blevins' comment: "No offense to [Intel], but we don't want to be [a] single supplier with them." Blevins' statement virtually guarantees that Intel will eventually give back some of the iPhone share it is gaining during this and the next few product cycles. Qualcomm could eventually return to the mix, or Apple could find another new supplier. Reuters, for example, reports that Apple "held talks with Samsung Electronics Co. Ltd. and MediaTek, Inc. along with existing vendor Intel Corp. to supply 5G modems for 2019 iPhones." Talk is cheap, of course, and Fast Company reported in November that Intel would be Apple's sole 5G modem provider for the 2020 iPhones. However, it's conceivable that Apple could eventually strike a deal with MediaTek or Samsung, or even both. Another recent report stated that Apple is working to craft its own 5G modems. Given that Qualcomm cut off its chip supply to Apple for the 2018 iPhones, it makes sense for Apple to try to build an in-house solution to reduce its dependence on third-party suppliers. Building modems is a complex and expensive endeavor, but the iPhone franchise is too important a contributor to Apple's financial results to put in jeopardy, especially over a single component. Whatever research and development dollars Apple would have to invest to bring in-house modem chips to life would probably be well worth it. Over the long term, it seems clear that Apple doesn't want to be dependent on a single modem supplier, and that's a risk to Intel's modem business. Ashraf Eassa owns shares of Qualcomm. The Motley Fool owns shares of and recommends Apple. The Motley Fool owns shares of Qualcomm and is long January 2020 $150 calls on Apple and short January 2020 $155 calls on Apple. The Motley Fool has a disclosure policy.